If you plan on traveling with your pet any time soon, you may need to get a travel health certificate. Our veterinarians here at Willowbrook Veterinary Hospital are happy to provide you with the exams and documentation needed to make the process go as smoothly as possible. We know that flying with your pets can be a stressful experience, and we’re here to help. The requirements for traveling with pets vary from state to state and country to country as well as by airline. 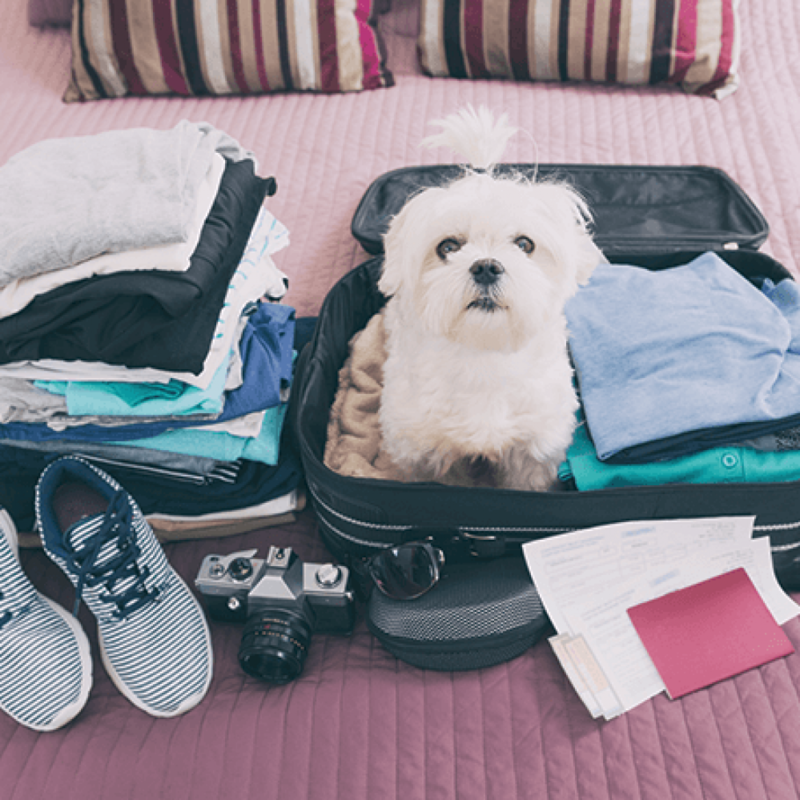 When you’re planning to fly with a pet, be sure to have your itinerary ready with any addresses and locations for your stay in addition to your travel dates. We’ll work with you to figure out any required exams, diagnostic tests, and vaccinations depending on your destination. For international travel, you may need to plan far enough in advance to receive approval from the country you’re flying to as well. Please feel free to reach out to us with any questions you have regarding travel requirements for your pets. Remember that domestic and international travel health certificates are only approved for a limited time frame. We’re happy to work with you to fit an appointment into your schedule and ours that meets those needs. It’s often a good idea to get this done as soon as possible (within the allowed time frame for travel) to avoid any delays in processing or endorsement by the destination country. Our experienced veterinarians can also offer tips for traveling safely with your pet, including any extra vaccinations that aren’t required to fly but that may help protect your pet. If your pet experiences travel anxiety, we can consult with you about addressing animal behavior issues with training and medications where necessary. Our goal is to make this a stress-free experience for both our patients and their owners.